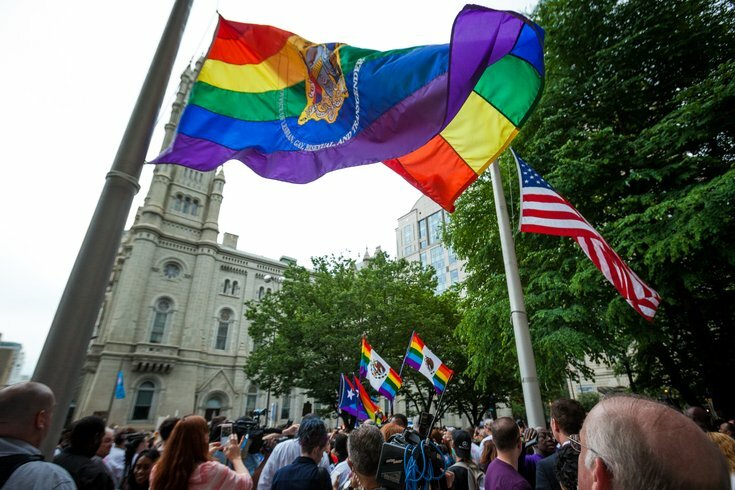 Flags flew at half-mast, Monday, June 13 at Philadelphia's City out of respect to those who died in the tragic shooting at an Orlando, Florida night club, on Sunday morning. As of Monday evening, least two Philadelphians have been confirmed as victims of the shooting. Serve orlando from seth cain on Vimeo. After the shooting, there was plenty of confusion near the scene of the deadly crime, as media, law enforcement and families of people who attended the club were trying to get answers. Several volunteers handed out free water and food to those near the scene. Justin Cain, who knew some of the victims, told WJXT he was bringing food to the families and first responders to help out after the travesty. A Chik-fil-A location in Orlando, which is normally closed on Sundays due to company policy, opened to serve food as well. Airline JetBlue said Monday they were offering free flights to and from Orlando for the direct family members or domestic partners of anyone killed or injured in the attack. The airline also said it was setting up a donation program so crewmembers could offer resources said it would make a charitable contribution to the families. "We want to do our part to help the victims of this tragedy, as well as support the Orlando community through this difficult time," JetBlue said on its company blog. Orlando realtor Christian West Howard has been placing the families of victims as they come into Orlando. On Tuesday, Howard said his company had put about 40 people already and 20 more people are being placed. "For the families affected by the shooting, our goal is for you to step on a plane and come right here worry free. We will take care of everything else," Howard wrote on Facebook. 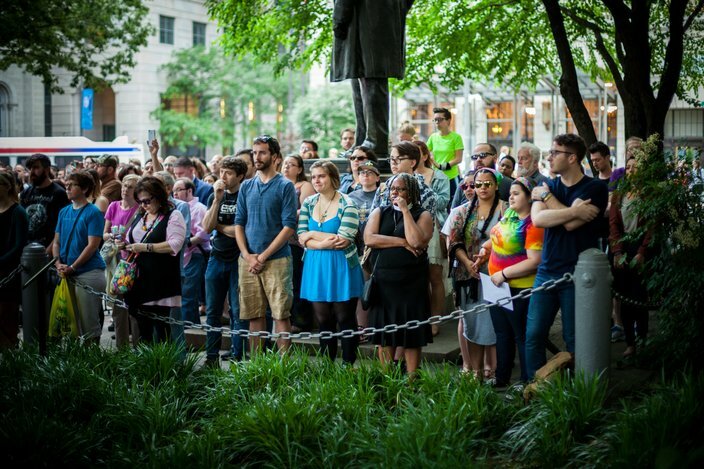 Thousands came to City Hall on Monday night to join together in solidarity and to mourn those who died in the tragic shooting at an Orlando, Florida night club, on Sunday morning. As of Monday evening, least two Philadelphians have been confirmed as victims of the shooting. A GoFundMe campaign for the families of victims had already raised nearly $3.5 million as of Tuesday afternoon. The campaign has a goal of $5 million. Donations can be made here.